Bring your donations for refugees in Europe to Saint John’s Church on Saturday 20 April. See camcrag.org.uk/donating for currently accepted donations. 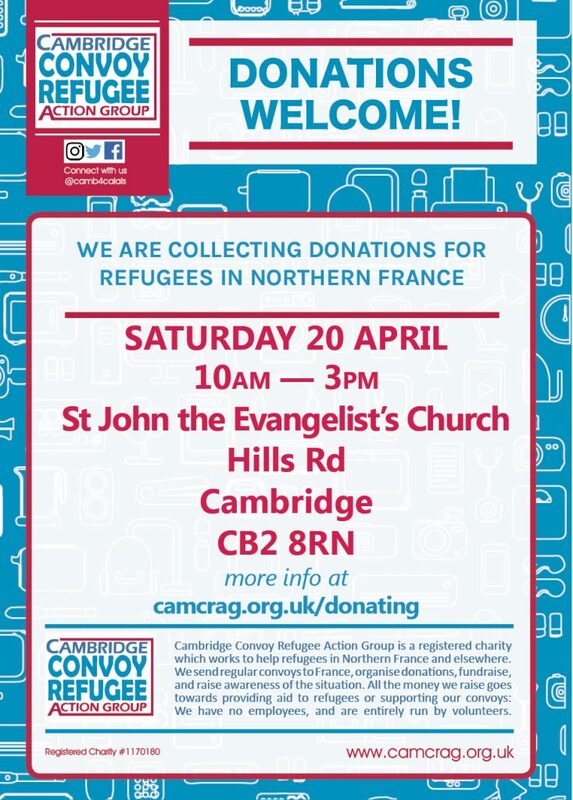 Please bring donations in boxes or strong bags.